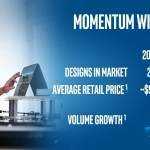 Ultrabook Searches Rising as Netbook Searches Fall, Will Sales Follow These Trends? It has been suggested that one of Intel’s objectives for the Ultrabook program was to move the conversation away from netbooks, where the bottom line was price — which came complete with low profit margins. And who could blame them for wanting this? Sales of Apple’s premium-priced MacBook line were strong as ever while the PC laptop market was seeing a veritable explosion of small, inexpensive machines that were marketed for their low price more than their features or quality. There appears to be a loose inverse relationship between the search terms. The ‘netbook’ query is falling slowly while ‘ultrabook’ queries are rising at a similar rate. 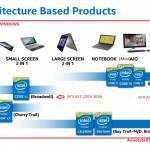 Pushing Ultrabooks over netbooks is a good move by Intel that benefits the whole PC laptop industry — in more ways than just potentially raising margins. Even if Ultrabooks are more expensive than netbooks, they hold a significant edge in processing power, aesthetics, and features, over netbooks. This edge means that an Ultrabook owners can go longer between purchases than a netbook owner. Assuming this works out to mean that, on average, Ultrabook owners are spending about as much as netbook owners are spending over time, Ultrabooks provide a significantly better reputation to the PC laptop market (thanks to superior design and features) than that of their netbook brethren. But the real question is whether or not the market will follow these search trends. The “(continue reading on page 2…) link is not working. Yes you are correct but if you click Page: 2 (couple of lines down) you can still go to page no 2. Netbooks cost about a quarter of what ultrabooks cost. Unless ultrabooks will last you 8 years, that’s not an accurate guess. Better yet don’t guess at all until empirical data shows up. Medium and low end configurations can be found for $1000 or lower. New netbooks can be found aprox. between $400 and $600 (yes there are some $300 examples but you’re asking for truly low-end specs! [there’s also $700 examples]), meaning an average of about $500. I think it’s safe to say, given the specs and features, that Ultrabooks can last about twice as long as netbooks before needing to be replaced for performance concerns. So if the typical netbook cycle is 1.5 years before replacement at $500 per unit, Ultrabooks should be able to satisfy the same user for 3 years at $1000 per unit. So over 3 years, both users spent around $1000, but a market saturated with Ultrabooks is certainly more prestigious than one with cheaper netbooks. Ultrabooks are likely to raise satisfaction ratings for the PC laptop industry over netbooks which is why it is beneficial even if the same amount of money is being spent. The replacement cycle obvious varies from person to person, for some it might be 2 years per netbook, which would likely translate to 4 years for an Ultrabook. It is a quite subjective comparison, but it is based on my observations of the markets and the users. And yes this may change depending upon how the average Ultrabook pricing moves, we’ll be keeping an eye on it! I’d disagree with there only being “some” $300 examples of netbooks. The average sold netbook is still 10″ and the price range for those don’t go above $400 anymore. Even dual core with discrete graphics are below $400 now. Prices for netbooks have consistently being getting lower and lower since they were first released. Rather it’s some that go down to the $200 mark now like with the Asus Eee PC X101 for example. Any netbook priced higher is using a the larger 11.6 to 12.1 range using nettop/desktop processor instead of the regular mobile processor and/or adds something like a discrete GPU option. While even then the majority are below $500. Only the themed luxury models, like the Asus Lamborghini VX6 series, or something like a convertible tablet laptop would go above $500 these days. However, to compare to them you’d have to compare to a Ultrabook with discrete graphics, which would also be priced higher. So the price difference is larger than you’ve suggested. While netbook replacement cycles isn’t based on performance. Since netbooks haven’t really changed much in years. Rather people either get netbooks if they need a cheap extra computer or need to replace a broken unit and is one of the reasons they are no longer selling that well. Really, until Intel decided to get serious about competing in the mobile market the Intel ATOM was on a long 5 year product cycle. Even now they won’t be switching to a two year product cycle until the 22n Silvermont comes out next year and provides the first real update to the ATOM since they were first introduced. Otherwise it may have taken another 5 years before we saw much progress in the Netbook market and thus little reason for anyone to get a new model. Even with AMD finally seriously competing with Intel in that category there would have been only so much to expect for the price range. So now, if the netbook market survives, it’s competition that’s finally pushing advancement in that product category and that may or may not get people interested in more regular purchases cycles. Remember though that there are differences in the product categories and people are more prone to be concerned about performance in the higher price ranges than they are at the lower price ranges. After all, something like the Amazon Kindle Fire is nowhere near top of the line but sells well because it’s cheap and that’s basically the same idea behind netbooks. Have to agree on the above. I can safely say a good ultrabook can even last you for a good 5 years. With this in mind, it is no wonder why netbook sales are diminishing. 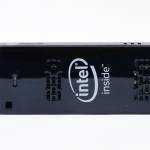 Intel should stop the crappy Atom processors and begin with a stripped down version of the cheapest i3 for the budget conscious buyer. Atom speeds are really stupid. I have a dual core N570 Atom and the netbook is just good for only surfing the Internet. But be warned, the PC industry is not like before where people got excited with every speed increase and every new version of Windows. Like I said, once people buy these ultrabooks, I am very sure they would keep it at least 3 to 5 years before upgrading to a better one. So in that light, sales might not be that great after all in the long run. I expect the churn rate on laptops to increase and I believe that’s one of the aims of the Ultrabook. Currently we are looking at 3-4 years renewal rate but when Ultrabooks kick the desktop out of the home and become personal I think the renewal rate will increase. If I was Intel I would be aiming for a 24 month renewal rate. When Ultrabook prices reduce, I think that’s a reasonable expectation. I was hoping ultrabooks would replace netbooks in that I’ll be able to buy a 10″ ultrabook but that hasn’t happened. There aren’t much good choices in the 11.6″ range either. Maybe next year I’ll finally get a 10″ notebook without a painfully slow Atom chip. Maybe it’ll be called microbook or whatever marketing comes up with.